"And,who says you can't sue... C.P.S.?" 1-929-277-7848 E-Help form must be implemented or call will not be connected to our winning busy e-staff." Lawsuit Win again,against employee(s)for the state who removed the father and mother healthy children without "Imminent Danger whatsoever." 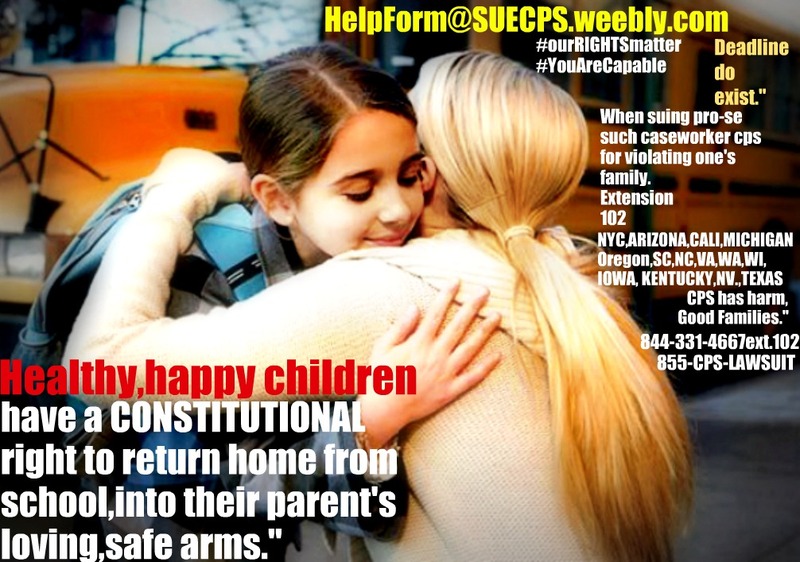 Our founder,as most know, lost her girls"without a court judicial authorization order as her suit cites," during a weekend court-ordered" post judgement divorce, a weekend visit to the father residence & his mom. The girls were only age ten years old & seven years old. Our founder girls never returned for several years. The damage done was extreme, for years." The father Mr.Xoss and Ms.Lopez were FALSELY accused,and lost their children for months." The state defendants settled for such amount,agreeable by all parties. The suit was filed by the parent's timely, and the state defendants eventually,settled for such amount,in damages." The kids were not at "imminent risk,no exigent circumstances,on the day in question,most relevant,everyone." The $800,000 settlement-payment to parents, settles the actual damages, involving their civil rights lawsuit." Mr. Sebastian Xoss,along with the children's loving mother falsely accused, Ms.Mirtha Lopez have suffered,as a result,as the children." Their nightmare began on or about 2/10/2011. Worker falsely accused the mother,of failure to "provide" and involving "immunization,of the child,as adage in such lawsuit." In furtherance a social worker/caseworker for CPS,DCF, falsely accused the loving mother Ms.Xoss of"having psychological/mental issues,that were a "danger"to her own children. They didn't give in, nor "give up." This case right here,as others,are so analogous,we are sure to your own. Hence,do not give up and begin on your suit pro-se,or keep calling lawyers(but do not give up)IF you have time left to file suit against CPS worker for the removal of your child,and or the continual removal,of your once happy beloved children,grandchildren. You're seeing it can be done timely by those who are being violated." 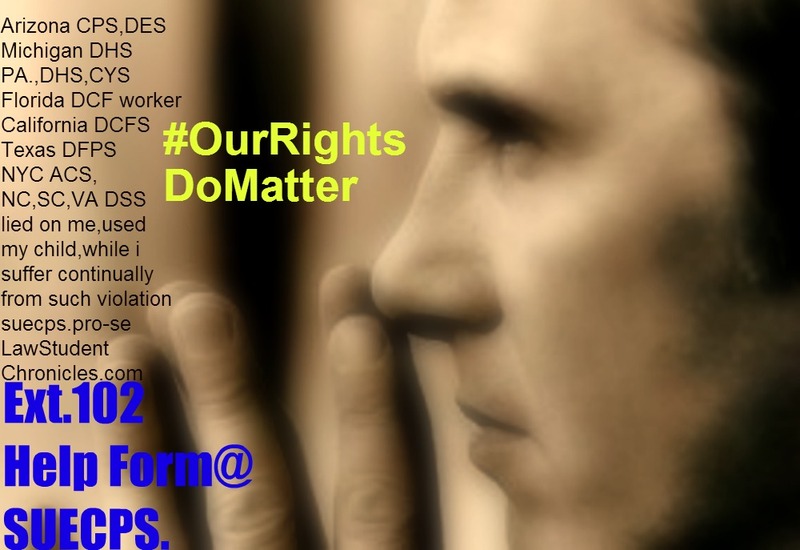 Our founder never gave up,and we are so happy to see another family win such, as others,and we pray that such lawsuits, will 1 day bring change...., Not all workers at CPS are bad,not all are out to violate one's civil rights,so we commend the ones who are doing their job properly,and truly"care"about the BEST interest of the child and we wish you all who are suing pro-se self file timely,the best of luck,or suing with lawyer cps et.al,for damages." will like to take a minute to also thank the lawyer who took her case,when others did not care to."